Rock n’ roll, country, bluegrass, jazz, R&B, and hip hop—Marylanders have a diverse taste in music and here you will find something for everyone. In the summer, this may as well be the outdoor music capital of the world because the hardest choice you will make is which outdoor concert to go to on any given weekend. With many free or low-cost venues, listening to incredible bands is something you can do every weekend and not just some of the time. Here are some of the best music venues in Maryland and why we love them. In Baltimore, head to Rams Head Live! and listen to incredible musicians from throughout the country. What makes Rams Head such an amazing location is that you feel as though you have the best seat in the house, no matter where you are standing. Nowhere else can you be so close to incredible artists like Kansas or Lauryn Hill. This intimate venue makes for an incredible experience and with the Power Plant right outdoors, you can keep the party going all night long. Local and national bands play at the Baltimore Soundstage. 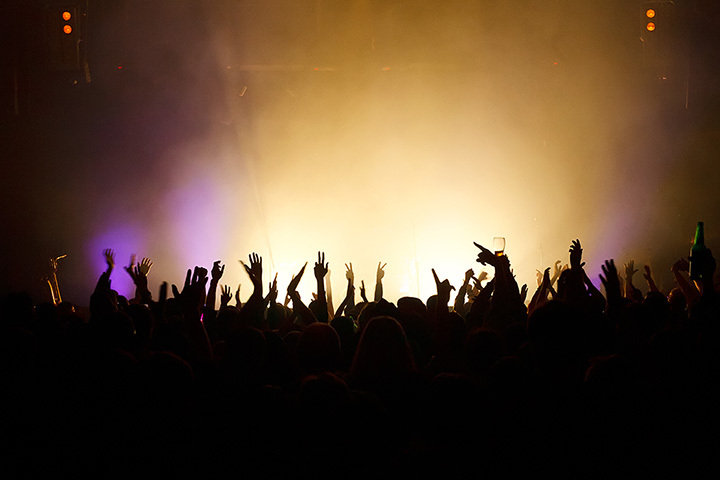 With good sound quality, bar, and parking in the same building, it is an excellent venue to catch a show. You will find more quirky bands playing here so if you are after a unique or cutting edge sound, check out their calendar. If indie rock is your thing, head to the Ottobar. This is an awesome place to check out up and coming acts and DJs that keep the crowd moving. The sound is fantastic and the vibe is friendly but be warned that this is a locals-type place and not somewhere you want to go for a fancy date. Head to Ottobar if you want a cool and casual vibe, friendly bartenders, and an awesome show from a band you may be just finding out about. For great music in the state's capital call ahead to Rams Head on Stage. You get the same quality, service and excitement that you will find in Baltimore but the venue is more intimate and conveniently located for anyone not wanting to head into the city. This is your standard large-concert venue with bleachers and higher priced seating near the stage. Big-name groups come to Royal Farms Arena so their lineup includes people like the queen of R&B, Mary J. Blige and a Christmas show with Michael W. Smith and Amy Grant. This is where you want to go to see your favorites and with plenty of parking, it is a convenient music venue in the heart of Baltimore. For a 100 percent, unique experience where it is all about incredible music, go to An die Musik Live. This is a listening room located in a Baltimore townhouse so you are truly up close and personal with the musicians. If you love jazz or are looking for an unmatched musical experience, this is where you want to be. Where else can you roll the dice, dance till your heart’s content, catch a live show and stay the night? Only at Maryland Live! This is an incredible music venue because there are only 400 seats, making it a fun, energetic, yet intimate venue. Plus, there’s a show every night so you can always catch an act. Anyone who knows the Hard Rock, knows that you are always going to catch a show, no matter what day it is. With good burgers and brews, you can’t beat this fun musical destination for a last-minute night out or as a place to bring your visiting family. It’s a dependably fun venue and always there when you need a show. Head to College Park to hear music performances by the University of Maryland Orchestra and other performing arts groups. This is an excellent venue to listen to classical music and to see interesting performance art delivered by talented local students. Country music every night? Check. Historic bar? Check. Lots of fun? Triple check. If you love you some country, then head to The Horse You Came in On Saloon in Baltimore. This is an old-school country bar with live music nightly, cheap drinks, and good pub food. They even have a dance floor so you can grab your date and dance the night away. Plus, their claim to fame is that they are the oldest saloon in America since they were established in 1775. That’s pretty cool. You are always going to have a fun time if you're listening to music in Baltimore or anywhere in Maryland. Regardless of whether you check out one of these year-round indoor venues or you're catching a summer concert in the park, this is a state that is full of talented musicians and people that love to listen. View more Maryland Live Music Venues.